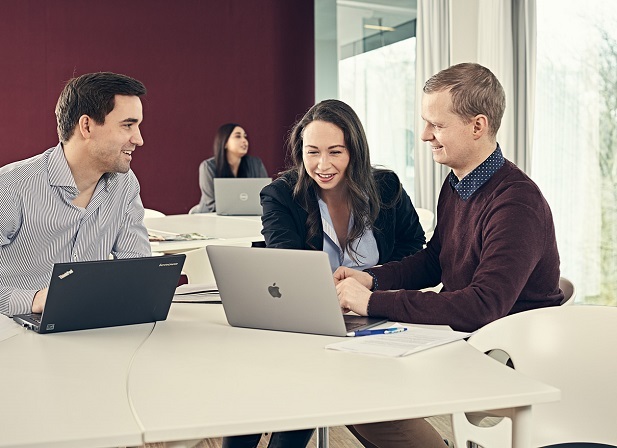 Bloomberg Business Week has again awarded The Copenhagen MBA an attractive rank – #13 in Europe – in their annual ranking of MBA programmes made public on 11 December 2018. This year, Bloomberg Businessweek has revamped their methodology and now publishes a global list of MBA programmes based on four overall indexes: Compensation, Learning, Networking and Entrepreneurship. Rather than assigning the weightings, Bloomberg surveyed employers, alumni and current students to learn what was most important to them and let their answers determine each index’ weighting. Globally, the Copenhagen MBA comes in as no 84 (out of 124). The programme fares particularly well in the Learning and Entrepreneurship categories, achieving a global rank of 40 and 39 respectively. Based on the survey replies from employers, alumni and current students, the aforementioned categories examine whether the curriculum is applicable to real-world business situations; the degree of emphasis on entrepreneurship and innovation, problem-solving and strategic thinking; the level of inspiration and support from faculty; class size and collaboration; and whether graduates showed exceptional entrepreneurial skills and drive. “The programme provides an excellent blend of theory, practical learning and opportunity for real world learning through the implementation of an interactive learning approach, A-board (where learning from real startups is gained) and the 4-month strategy project, where learning is applied at a designated company,” said a programme alumnus. Click here to read another student’s account of the perceived MBA environment. Wayne Yang, from the US, graduated in 2018 and wrote about the importance of a collaborative classroom on the MBA blog. To learn more about Bloomberg Businessweek’s Global MBA Ranking 2018, its categories, methodology and participating schools, please click here.